Speedsport wraps up impressive 2016 season at Daytona! 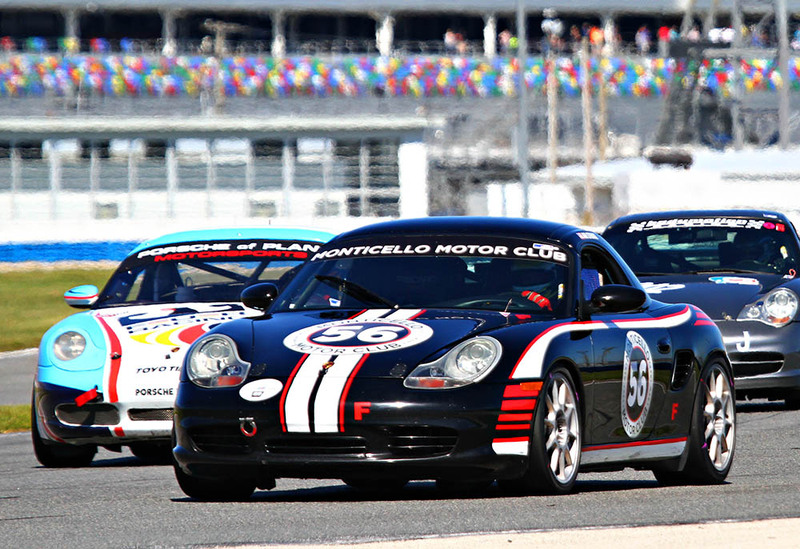 At the season-ending Daytona PCA race weekend, Speedsport Tuning clients feasted on the asphalt and the podium. 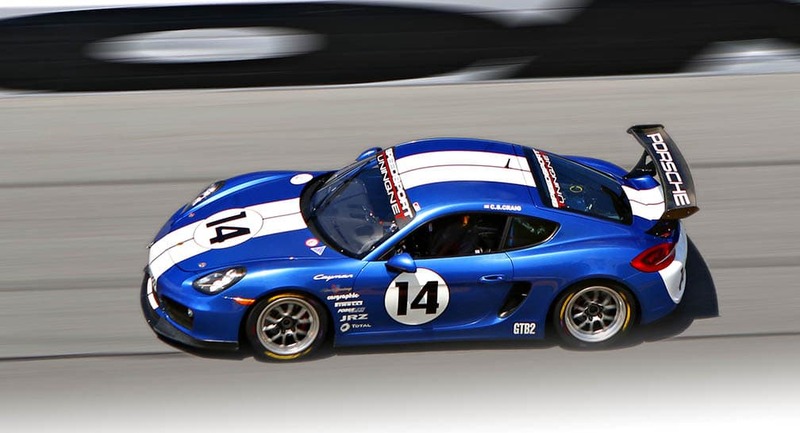 Jack McCarthy won the national GTB3 Championship and set a new lap record at Daytona in his Speedsport-built Cayman. Speedsport Tuning founder Spencer Cox won both of his races and clinched the GTC4 National Championship in his GT3 Cup. Carlos Gomez set a new GTB1 lap record in his Axis of Oversteer sponsored Cayman. Monticello Motor Club President Ari Straus won both sprints and set a new lap record in his F-Class Boxster. If that wasn’t enough, Ari also won the Worker’s Choice Award. Monticello Motor Club President Ari Straus leading a pack through the infield on the way to one of his two wins. Todd Pajonas missed the championship by only one point for the second consecutive year, but Daytona capped an amazing season in his I-Class Martini-liveried Cayman. Jonathan Fairbanks also ran strong all weekend to finish out a great season in his GTC3 Cup car. John Frank took 3rd Place in the inaugural GT4 Clubsport Series Masters Class Championship. The entire Speedsport Tuning team congratulates and thanks our clients on a fantastic season. We’re all looking forward to 2017 with some new racers coming onboard and some existing drivers moving up in class. To view the full 2016 Daytona PCA photo gallery, click here. This was my first visit and I was extremely happy with the service. My GTI is now running great!Toni L.
Precise service, responsive, professional, and trust worthy. Do your Porsche a favor and go see Bryan...Pinkal P.
SST Auto/SpeedSport Tuning is the only place for me! If I had to choose one word: Trustworthy David C.
Without a doubt I would recommend this shop to any one who owns a European car and wants their vehicle running its best. Margaret S.